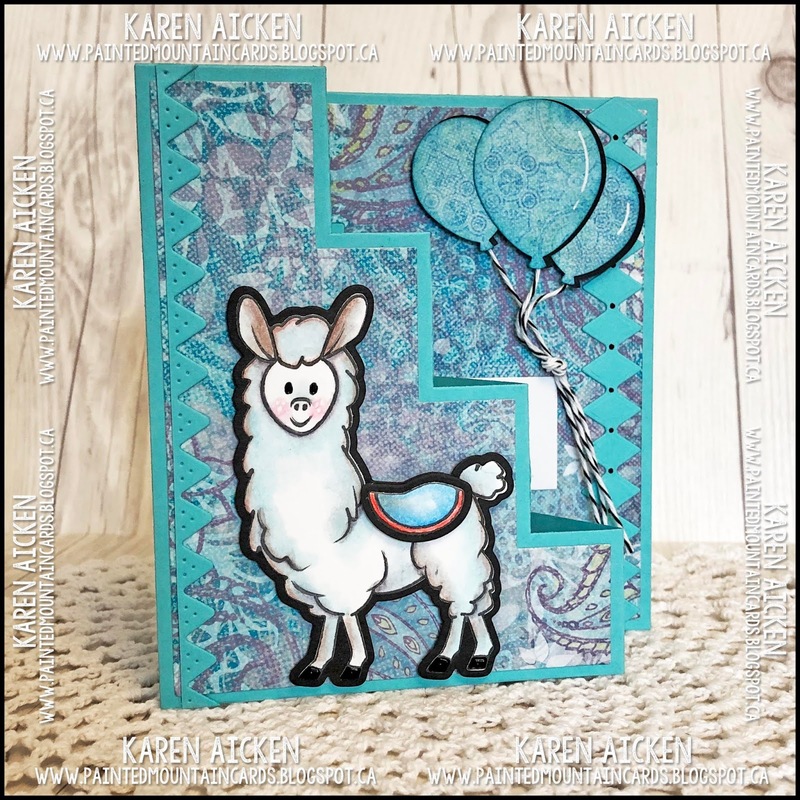 Today I'm playing along with the Fun Friday Challenge #112 at Your Next Stamp. The challenge runs through midnight EST May 2nd and a lucky commenter will win a gift certificate to the Your Next Stamp store! You can also comment to win a free stamp set on the Your Next Stamp Blog, Instagram and Facebook - but those comments need to be left by April 24th with the winner being announced on April 26th. Two chances to win!! 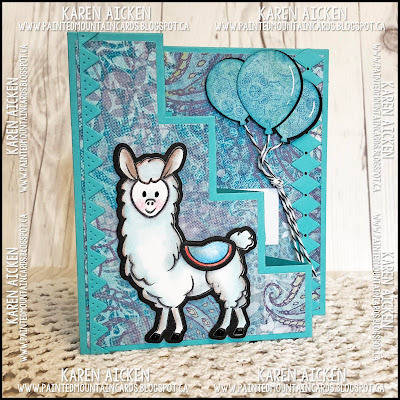 Check out the Your Next Stamp Blog for all the details. The challenge is 'Clean and Simple' - which for me is quite the challenge. I knew I wanted to pair the new Photo Booth Thumbs Up stamps with the Photo Booth Polaroid Frame, so this is what I came up with. OMGosh, aren't those critters just too much fun? 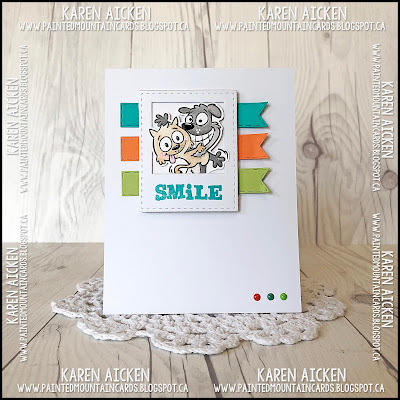 They were stamped with YNS Black Olive Ink, die cut with the coordinating die then coloured with Chameleon markers. The eyes and nose are shiny because of a black glaze pen. 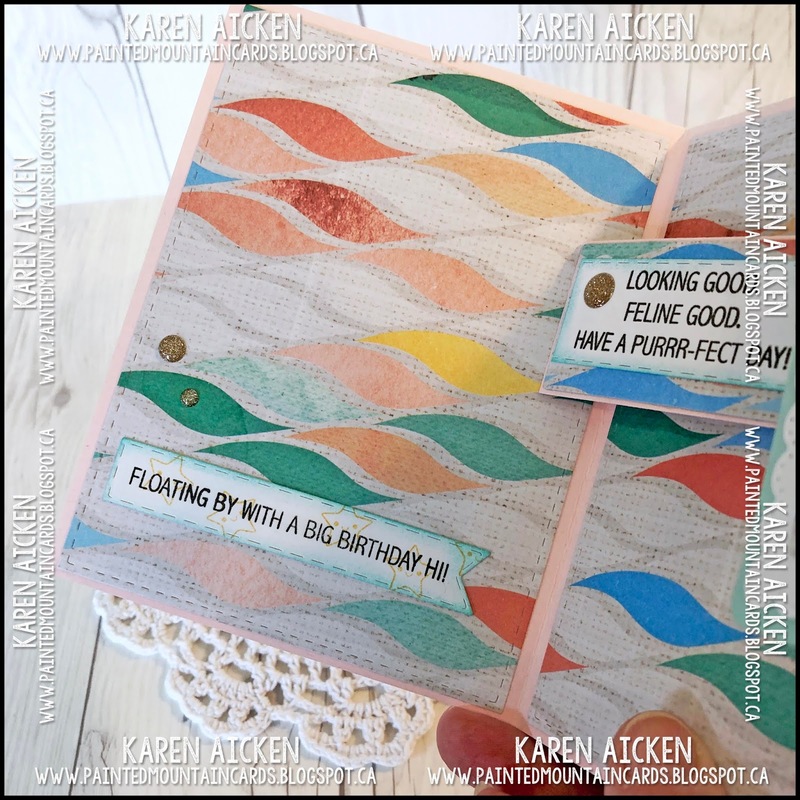 I die cut the smallest Stitched Fishtail Banner three times from bright card stock and layered everything towards the top of my white card base. A few coordinating Gumdrops were added to the bottom right corner. 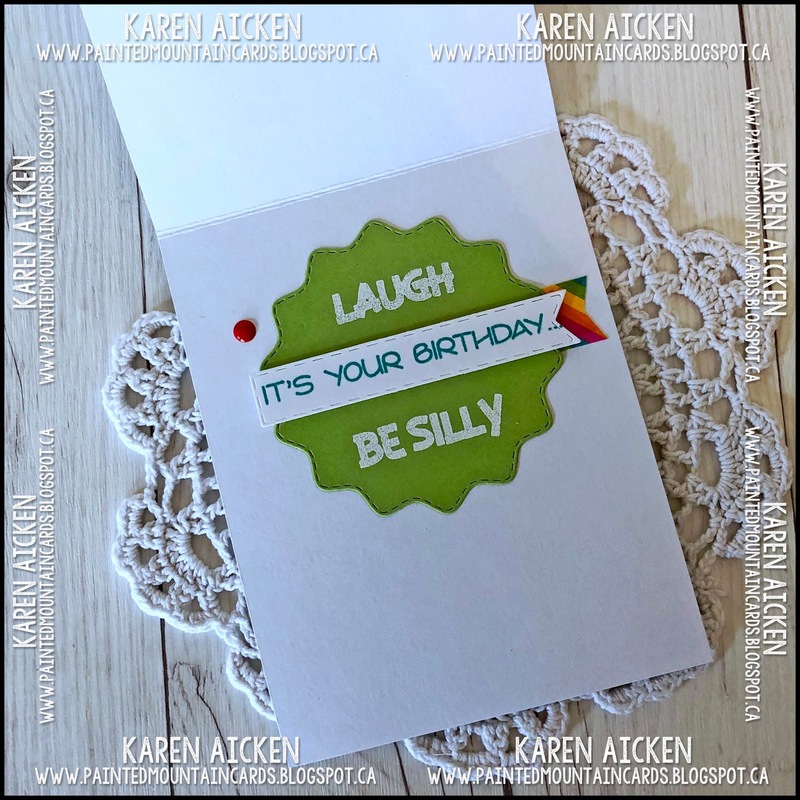 I like to decorate the inside of my cards as well, so white embossed the words 'LAUGH' and 'BE SILLY' from the Photo Booth stamp set on a green Stitched Wavy Circle die cut. I stamped 'It's Your Birthday' on the smallest Stitched Fishtail Banner and popped it up with foam tape. 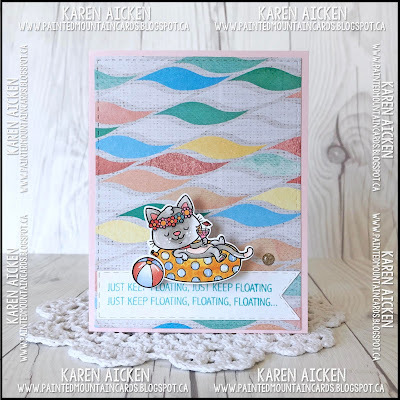 I save every little piece of this pretty striped patterned paper and a little snippet was sitting on my stamping table from a different project. So I added it on the right edge of the Stitched Fishtail Banner for an additional pop of colour. 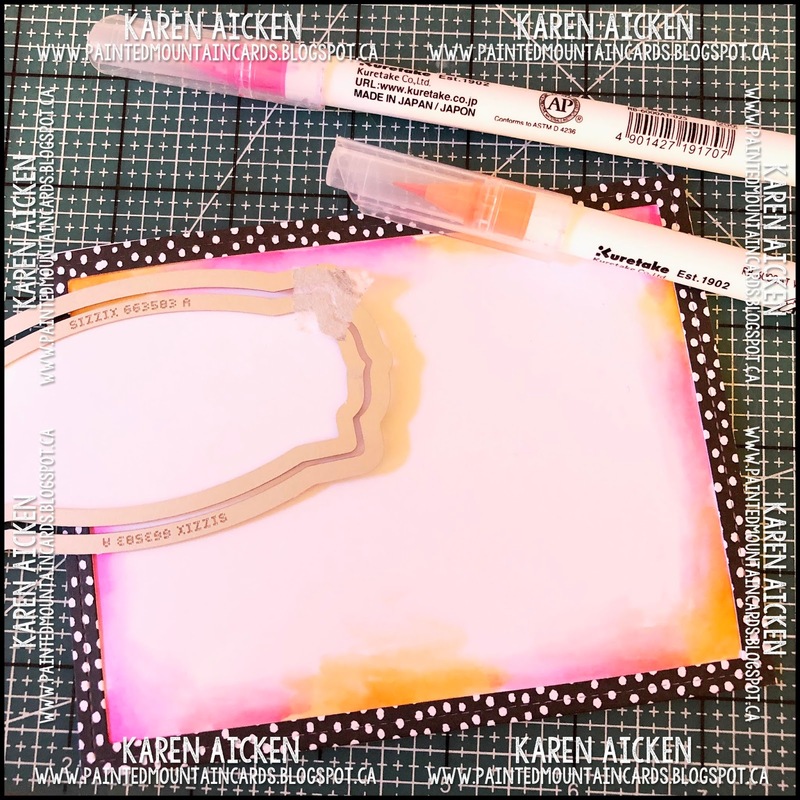 I hope you will stop by the Your Next Stamp Blog and leave a comment so you have a chance to win, and also play along with the Fun Friday #112 Clean And Simple Challenge for another chance to win! Often when hubby is watching hockey in the evening, I will pop into my craft room. 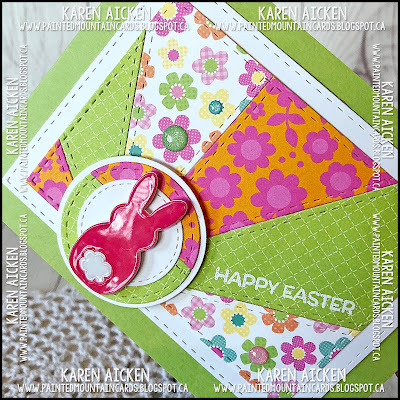 This time I didn't have anything in mind to make but since Easter is coming I pulled out the Lever Card die set and decided to make an Easter themed Lever Card. 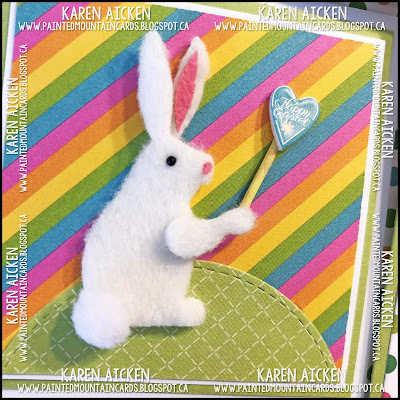 I have had this package of fuzzy bunny stickers in my stash for a couple of years anyhow, so it was fun to actually USE one of them. 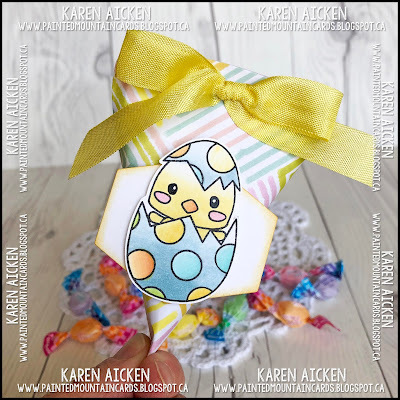 I had a couple of leftover pieces of this cute patterned paper by Doodlebug, and the Easter Egg and Bunny 3-d stickers were the last ones on a sheet I've been holding onto for far too long. 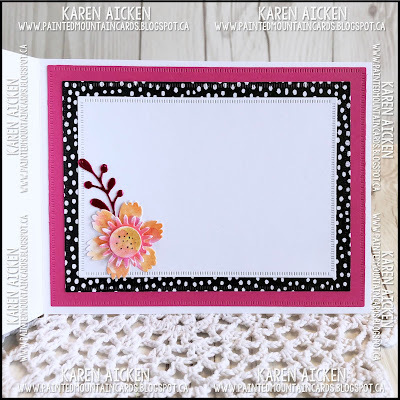 On the last panel I added a scalloped rectangle with a stamped greeting, a sparkly flower sticker and a fishtail banner. It's pretty busy, but still bright and cheery. 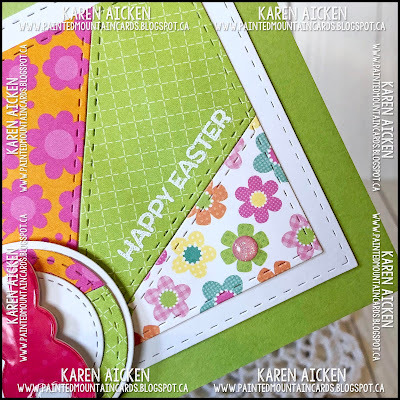 I don't know that I would add this many patterns to a card again, but since they are all from the same collection they do coordinate. I decided to leave it as is and not re-do that third panel that is bothering me. The people I sent this card to will love it, I'm sure. 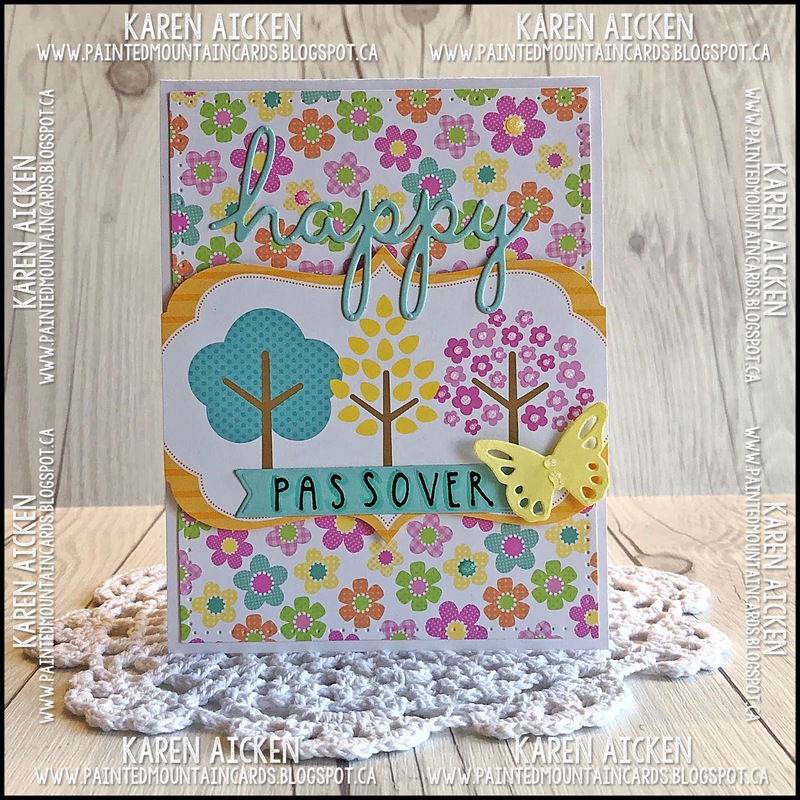 Today I'd sharing the card I made for our daughter and hubby to celebrate Passover. I adore the bright happy colours on the Doodlebug Designs patterned paper and cut-aparts. 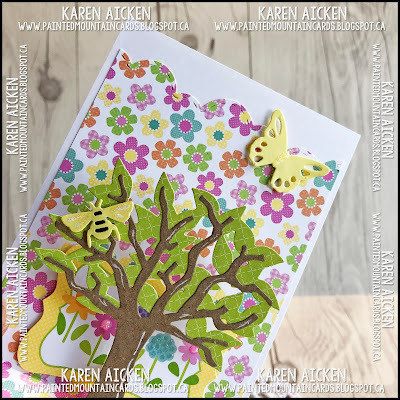 The sweet little butterfly is from Lynda Kanase's Spring Things die set. 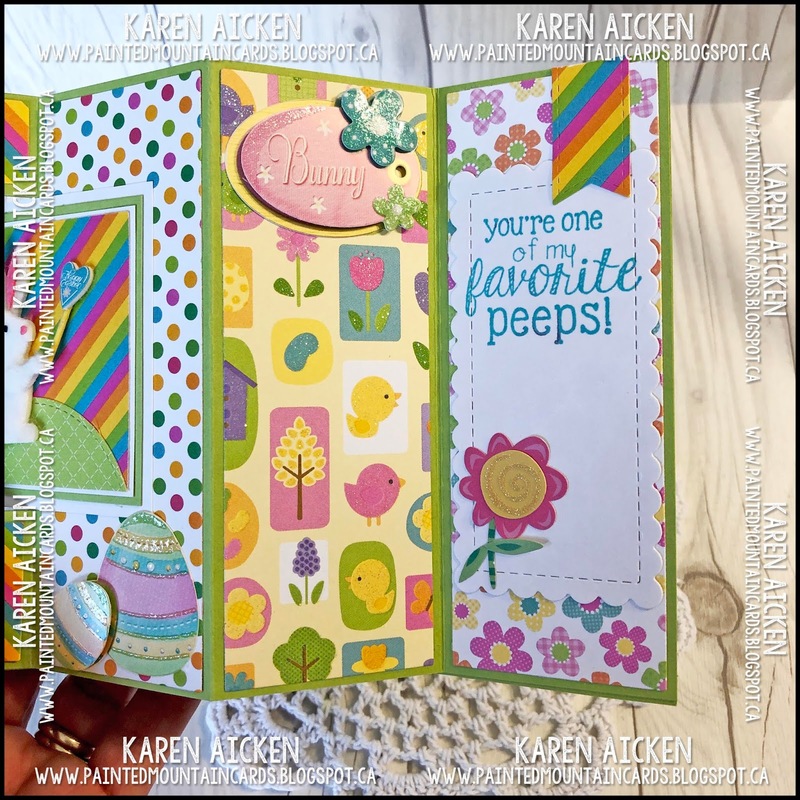 I love all the little bits and pieces in that set and keep it handy by my stamping table. Inside, I used Karen Burniston's Tree Pop-Up, and a few more dies from the Spring Things set. I like using the 'cloud' die from the Nature Edges to create a stitched scalloped border on my cards. Because of some good crafty sales, I have been able to add two more Flip-It die sets to my collection. 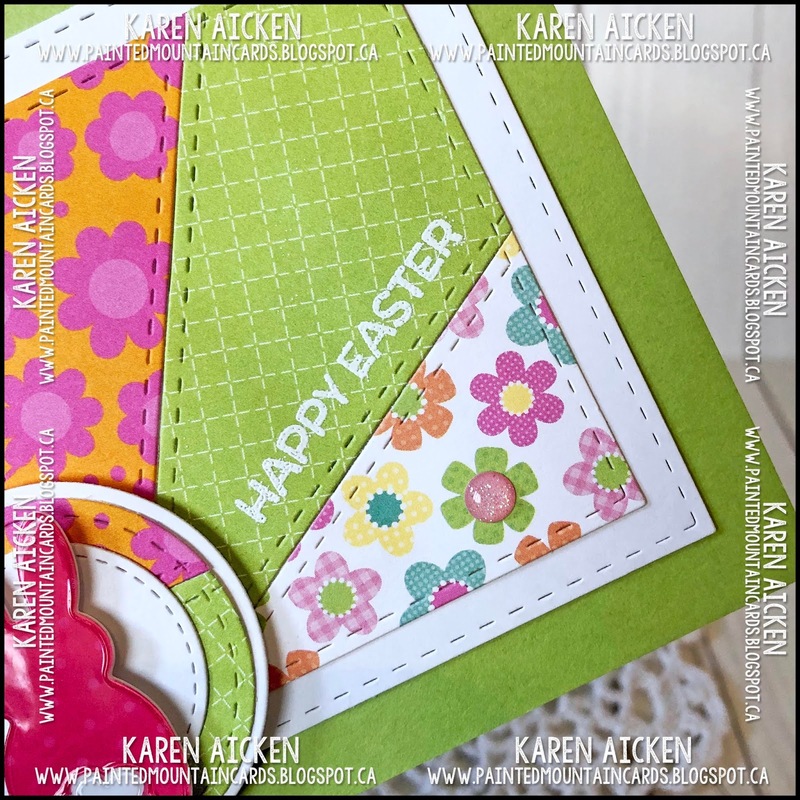 If you follow my blog, you know how much I like to make Flip-It cards! This one was made for Easter, with Doodlebug cut aparts and sparkly patterned paper. I will write our message on the white label on the flip side of the card. It's really hard to see all the sparkle in the patterned paper, but it is really pretty! 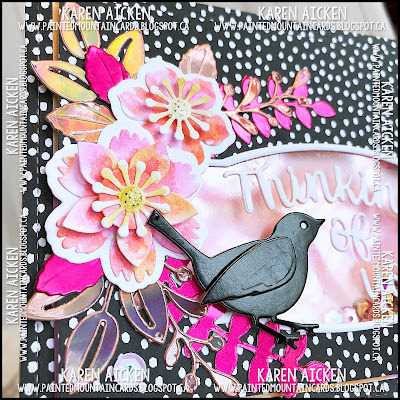 I'm on the Your Next Stamp Blog, sharing a 'favourite'. 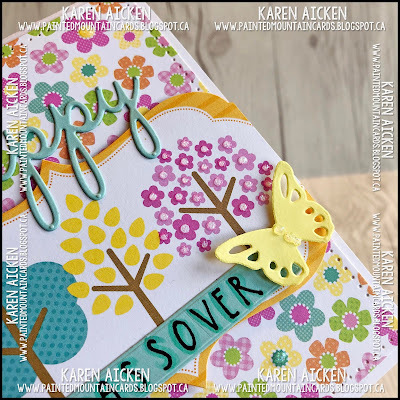 Since I love to make Z-fold cards, and I love sharing ideas and different ways to use your stamps & dies this is what I came up with today. 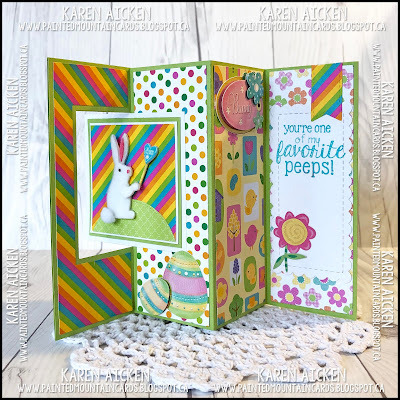 I really like this Sunburst Panel die, and used it here in a vertical orientation instead of the horizontal one that was intended. 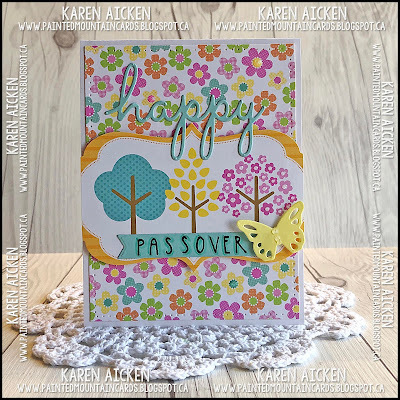 I didn't have a full sheet of this pretty blue card stock, but it was enough to make the card, so that made me happy. The mermaid stamp is so cute - look at that waving crab on her head! 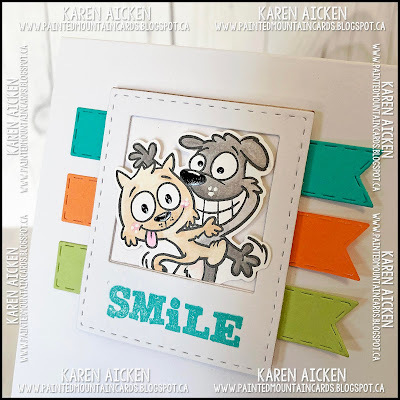 Everything was stamped with YNS Black Olive Ink and coloured with Zig Clean Colour markers and a water brush. 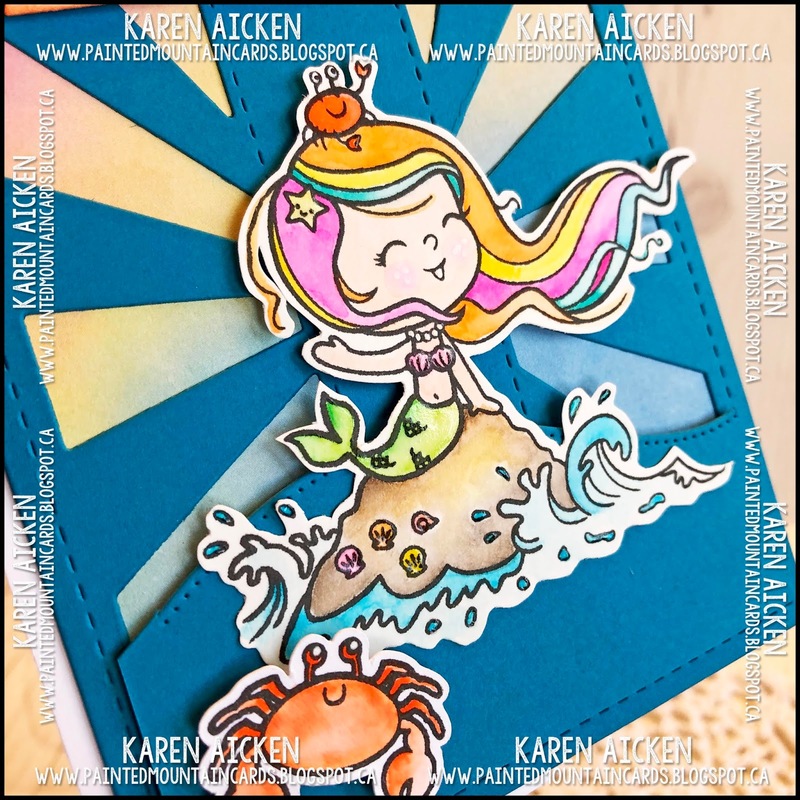 I used the Pierced Hills to cover the bottom portion of the Sunburst Panel die, then added the cut out mermaid and another little crab. 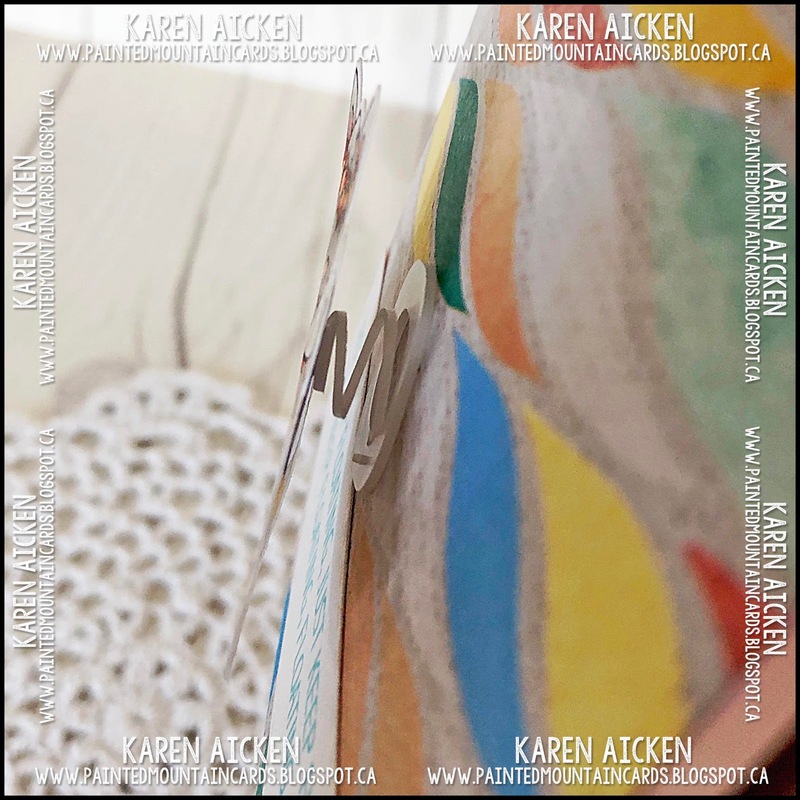 To decorate the centre section of the Z-Fold Card, I die cut just half of the Sunburst Panel Die and adhered it there. I like that it gives a bit of interest and also continues the flow of the blue & sunburst. 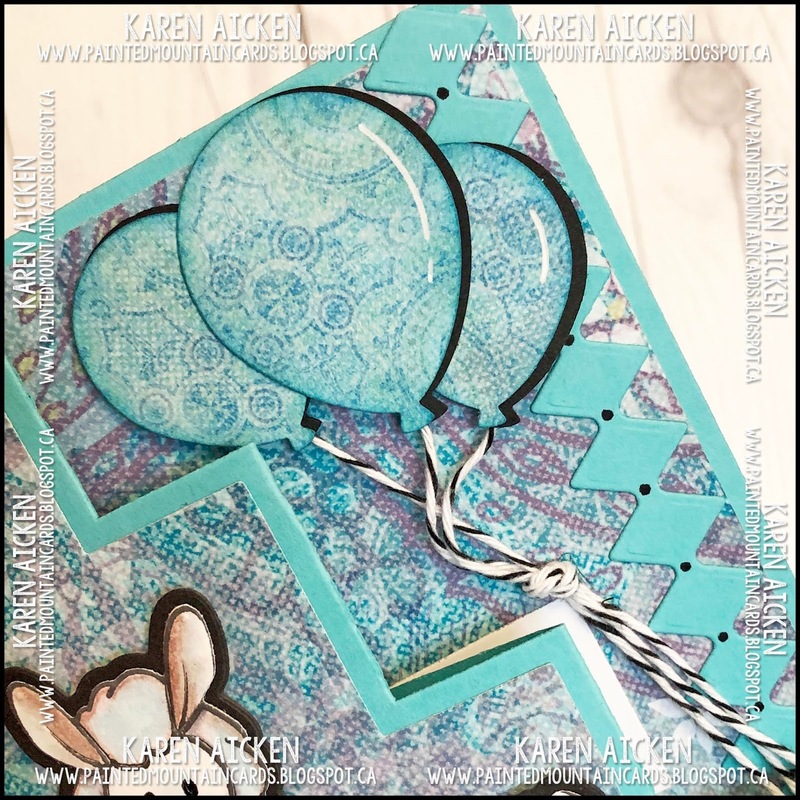 The largest Stitched Wavy Circle die was stamped then slightly off-set on a second, blue Stitched Wavy Circle. 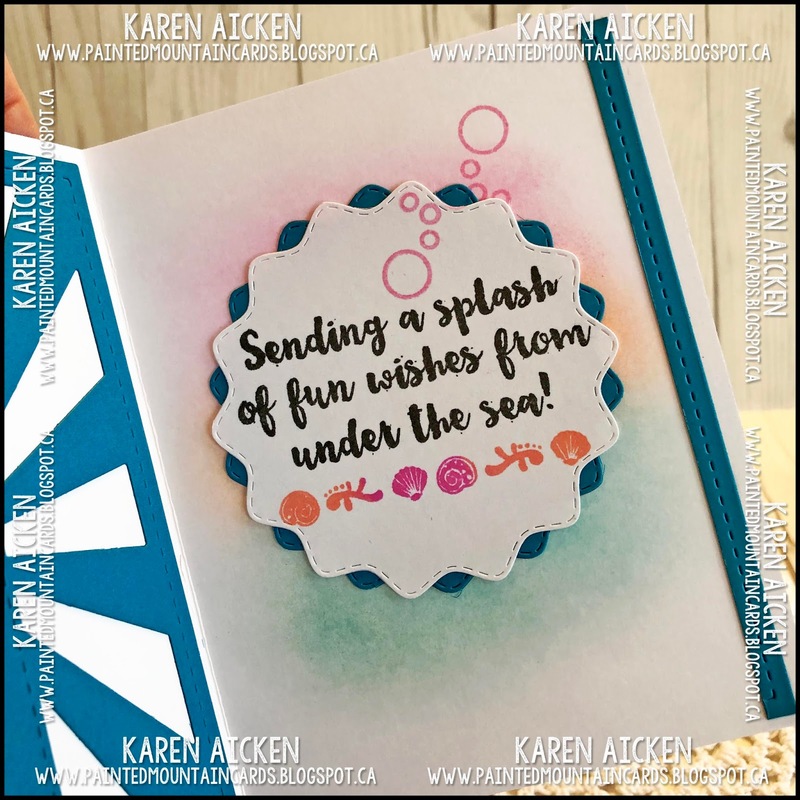 Before adhering this greeting piece to the right side of my card, I sponged inks around the area to add a little colour. 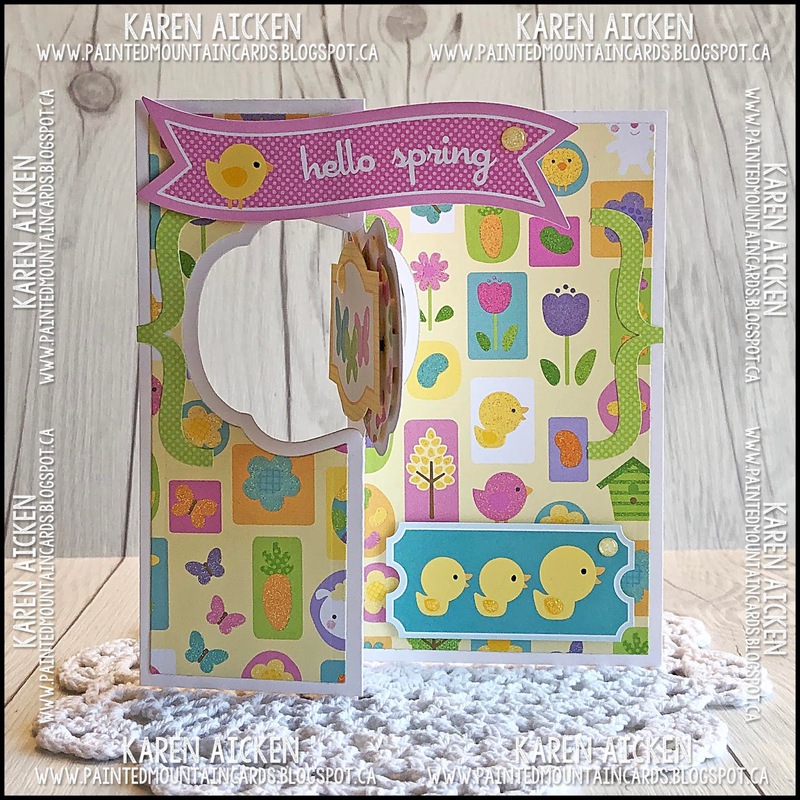 The greeting is hidden when the card is closed, which is fun. 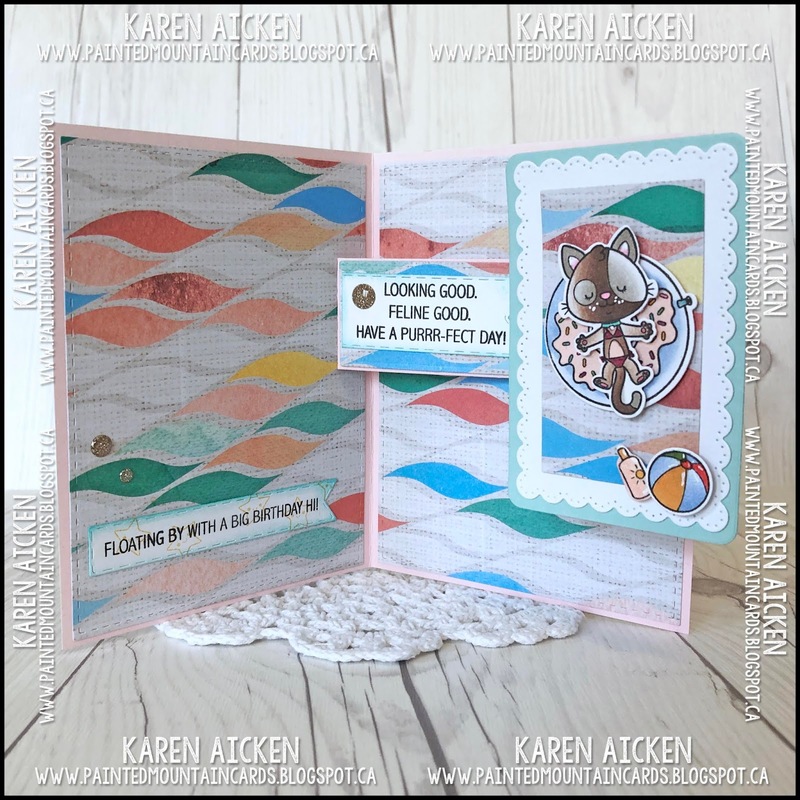 Finally I trimmed just the stitched edge from a partial Sunburst Panel die and adhered it at the right edge of my card. 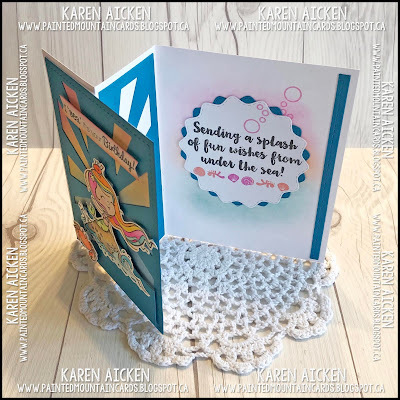 I really enjoyed making and sharing this card showing some of my favourites, and I hope you will check out the Your Next Stamp Blog - there is always lots of inspiration. 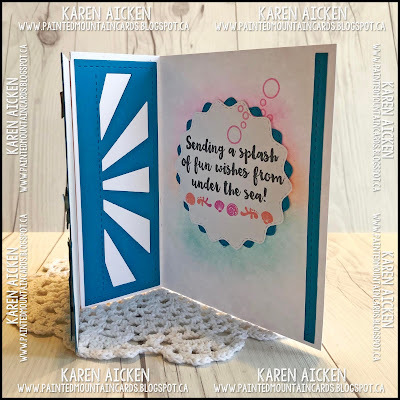 I'm back today with another card made with the Scrapworks Large Sunburst die set by Your Next Stamp. I had some smaller pieces of this cute Doodlebug patterned paper so die cut the Sunburst piece 3 times which gave me six stitched panels. 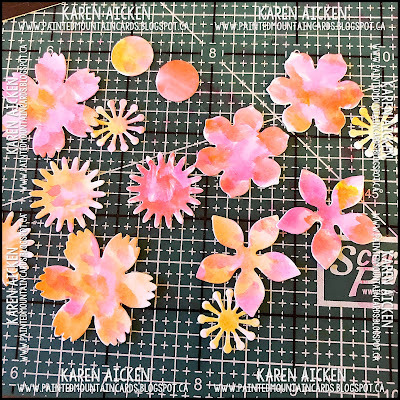 They fit together to make a sunburst, which I cut smaller with a stitched rectangle die. 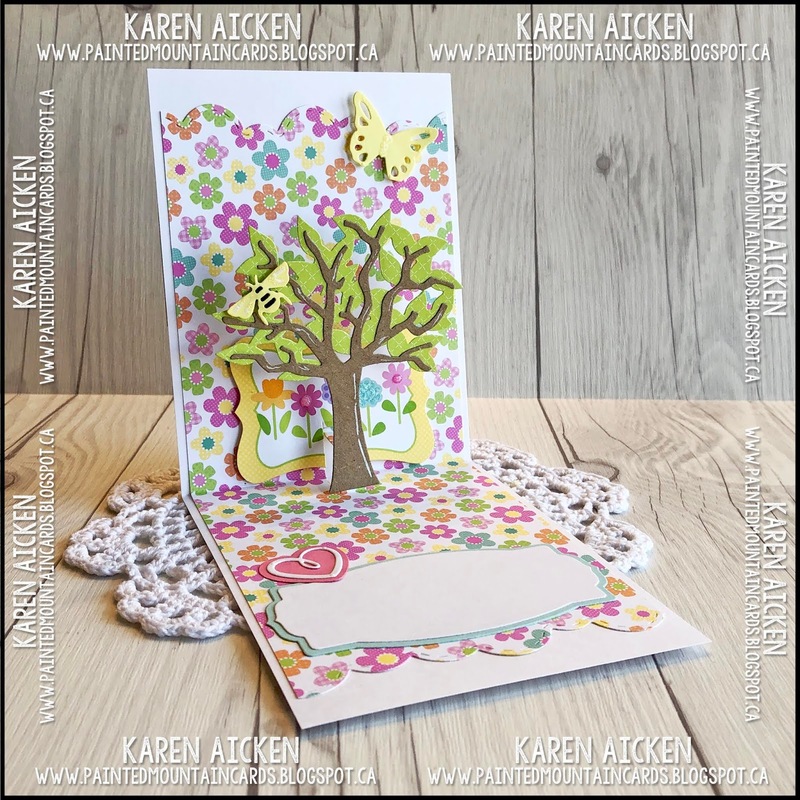 This card works for YNS's Fun Friday Challenge #111 to use Florals so I will be entering this card into the challenge links there. 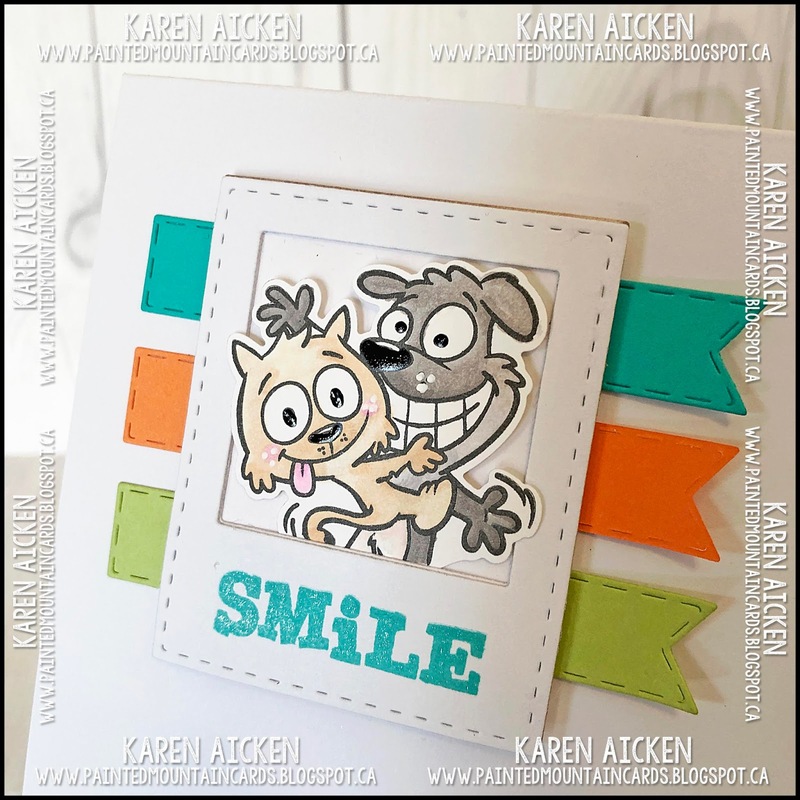 Check it out - lots of fun inspiration. All the details can be found HERE! I have had these puffy stickers for a couple of years - so added one to a few stacked circles and white embossed the Happy Easter on one of the Sunburst Panels. 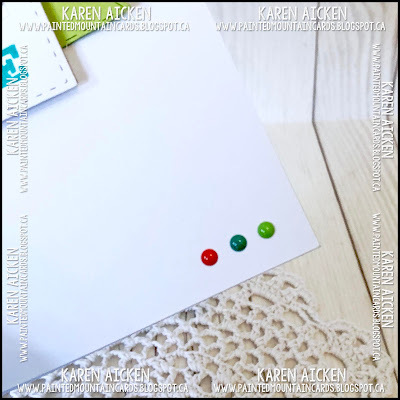 I love the Your Next Stamp Gumdrops, so added a couple of those as well. Inside I used the COMING SOON Chameleon Fineline markers - these are SO cool and I hope to have more information on how you can get them yourself soon. I did the writing with ONE marker, adding blends of colour by swapping the tops. That is how I got my rainbow greeting without having to change pens or stop writing! 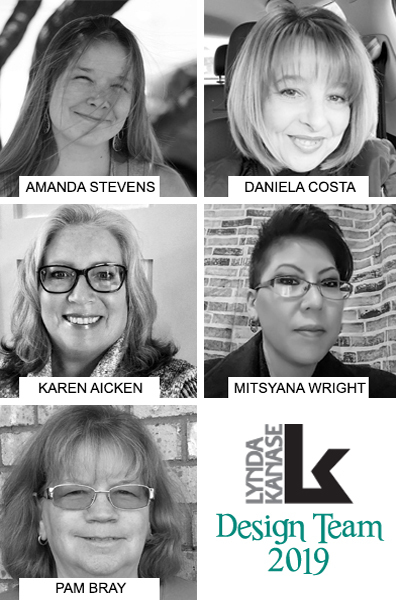 Lynda Kanase Design Team Challenge "Spring Things"
This is my second post of the day, I am so excited to share that Lynda Kanase is going to have a Design Team, and I'm lucky enough to be joining these talented ladies on the team. Today is our first joint post and the Design Team blogs are linked on the right. 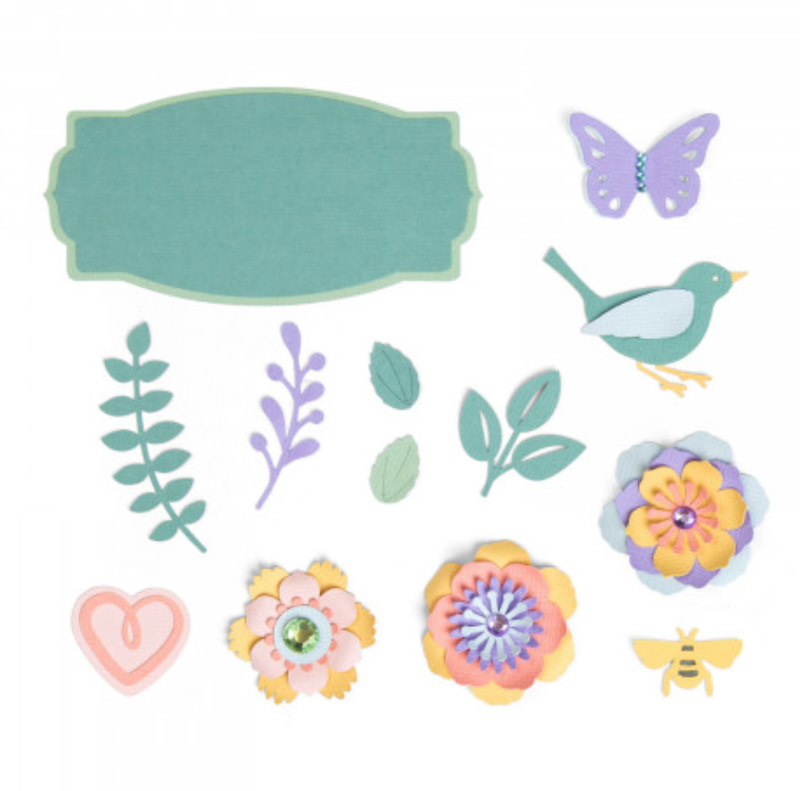 We are going to use Lynda's new die set 'Spring Things' for our project. This set is going to get a lot of use, with all the fun bits that are included. 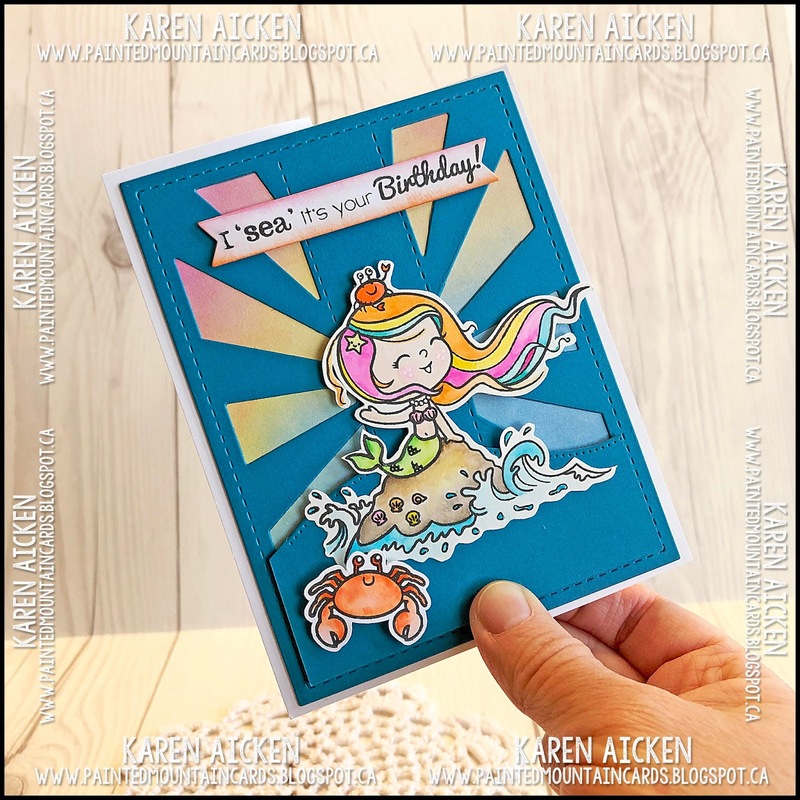 Some of my die sets stay in a plastic bin right on my stamping table because I reach for them often and this will be one of them. 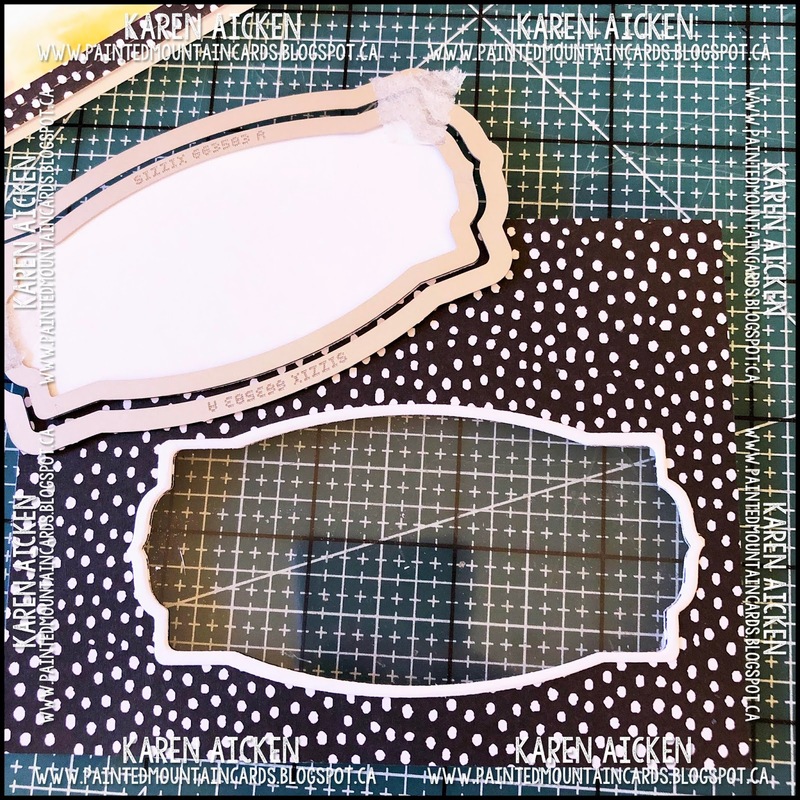 I took a black and white polka dot patterned A2 card and cut it in half at the score line. This gave me two A2 sized panels to work with. 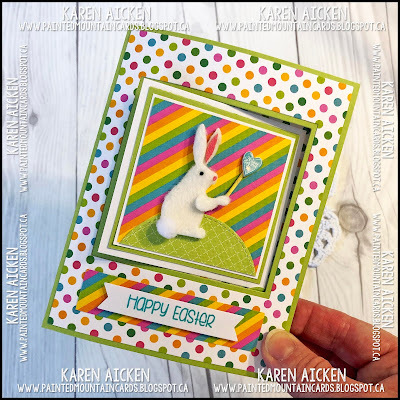 I liked the pattern on the card, and I didn't have any patterned paper that was similar. I used the Lawn Fawn stitched frames to die cut the large frame. Then I cut a scant 1/8" off the top and side edge of the centre fall-away panel and that is what I cut the window for the shaker from. Trimming that little bit off allows the painted colour to show through the edge of the popped up centre shaker panel. 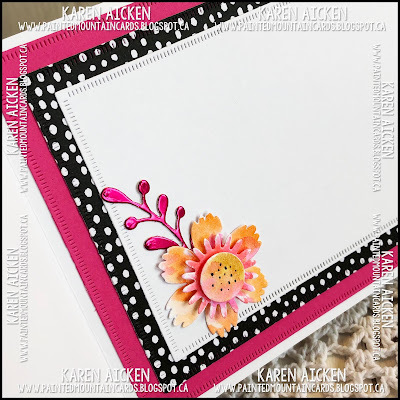 The stitched frame was adhered to a white card front. I scribbled zig clean colour markers onto an acrylic stamping block and picked up the colour with a water brush and painted it around the inner edge of the frame. I was happy with how that looked, so I went ahead and added some more colour to the centre where it would show through the window. 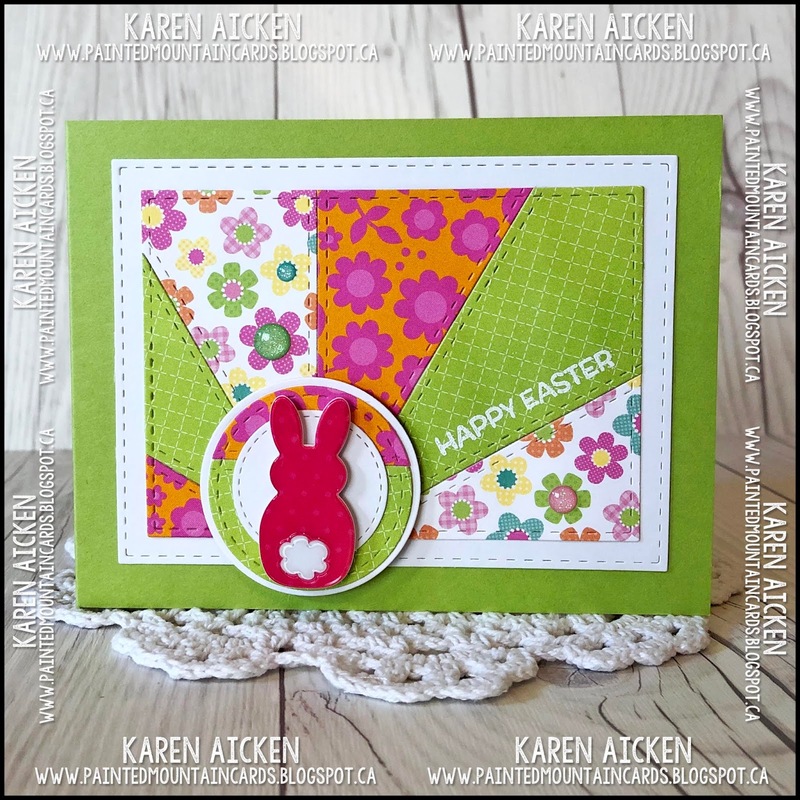 The label die is a great size and shape and lots of different sentiments etc will fit on it. It also comes with a matting layer which I always appreciate. 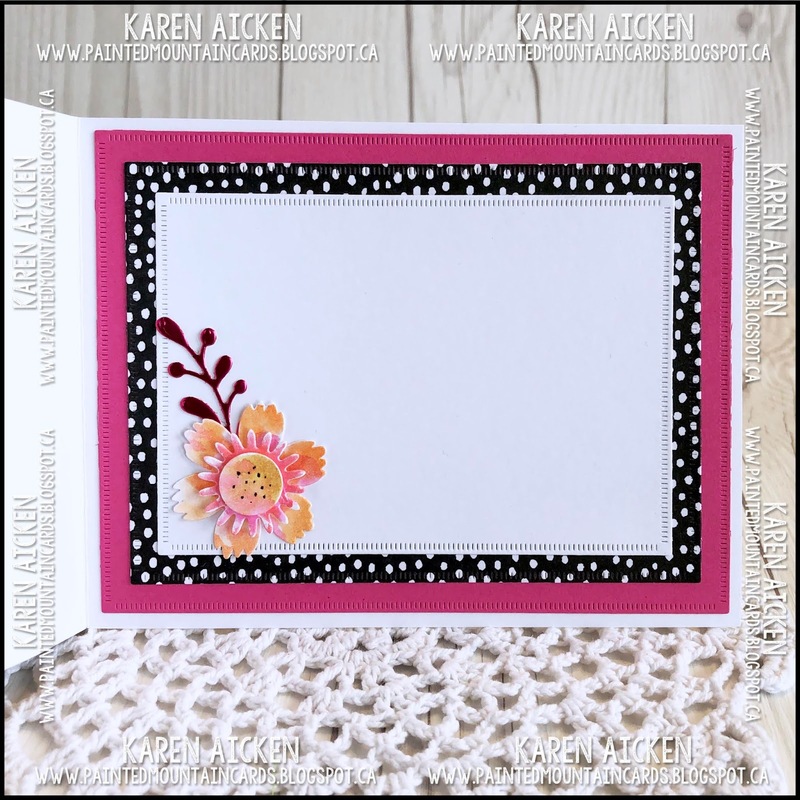 For my card today I used the smallest label to cut the window out of the inner black polka dot panel. 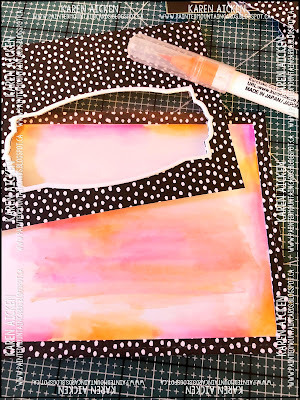 Then I used washi tape to adhere the two label dies together evenly and ran them through again with white card stock. That gave me the narrow white frame to outline the window. Once acetate was adhered to the back side of the window panel, I added a double layer of foam tape to the back. I like good coverage so the panel doesn't 'cave in' when the card goes through the mail. Then I CAREFULLY added sequins to the area that would be covered by the window, and CAREFULLY adhered the foam taped window panel inside the frame trapping the sequins so they would shake in the window area. 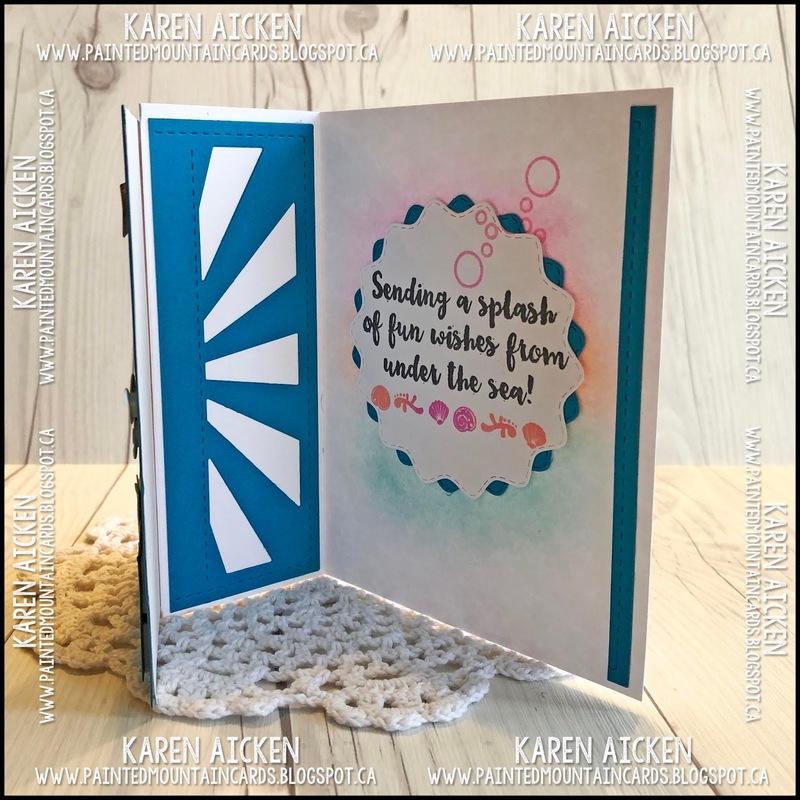 I die cut the flowers and centres from white card stock, and added some more colour with scribbled Zig markers and a water brush. I loved the random look to the colours. 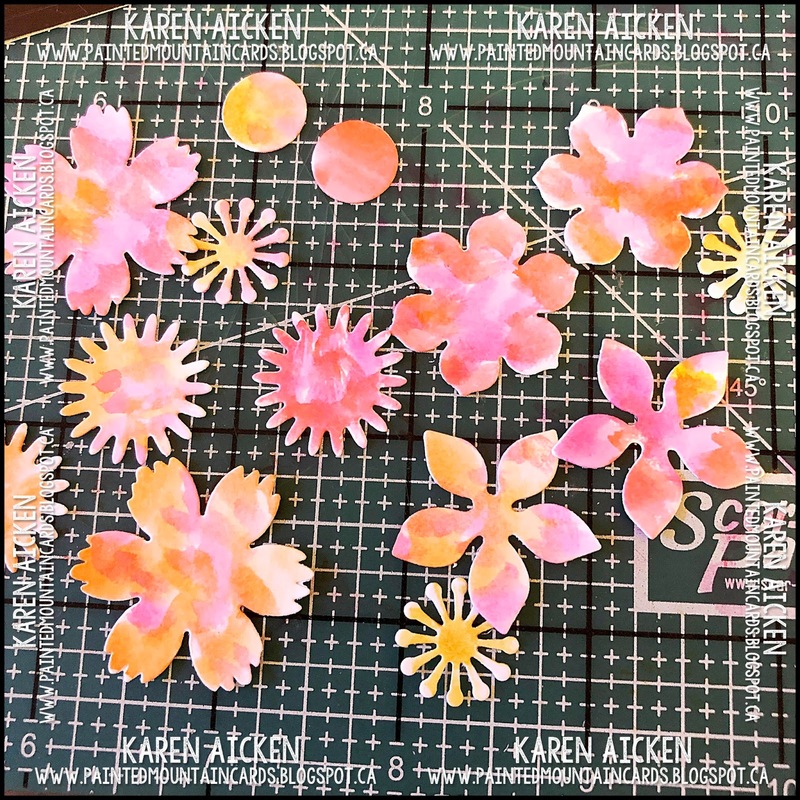 The leaves, vines and sprigs were cut from coral and pink foil papers so there is lots of shine. Of course that shine rarely shows up in photos. The bird was die cut from black glossy recycled packaging for additional shine. I couldn't help myself, and added a few sequins as well. 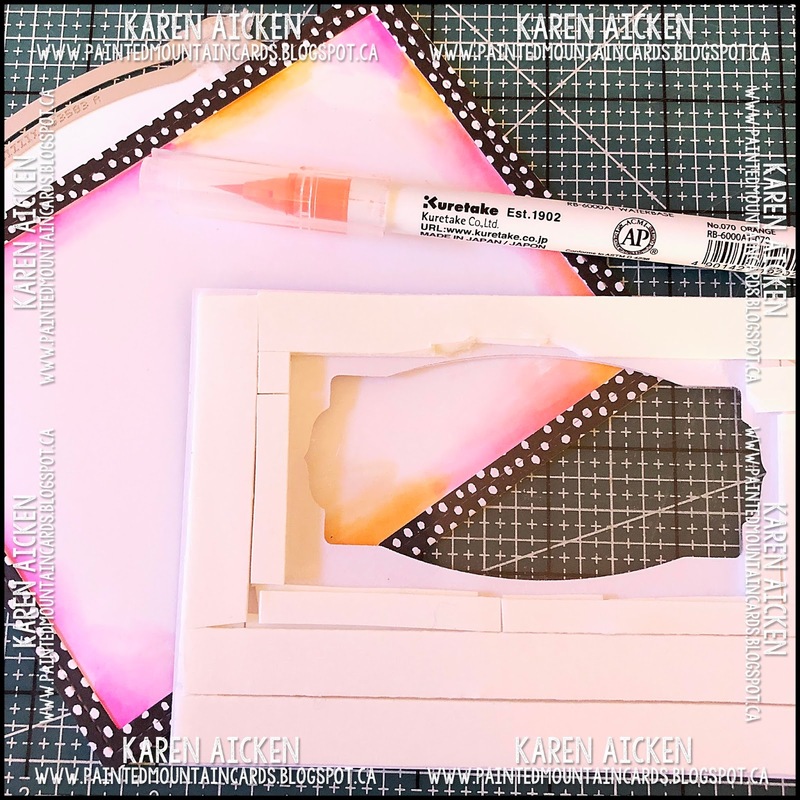 Then a die cut 'thinking of you' cut from adhesive backed white card stock per the window acetate. 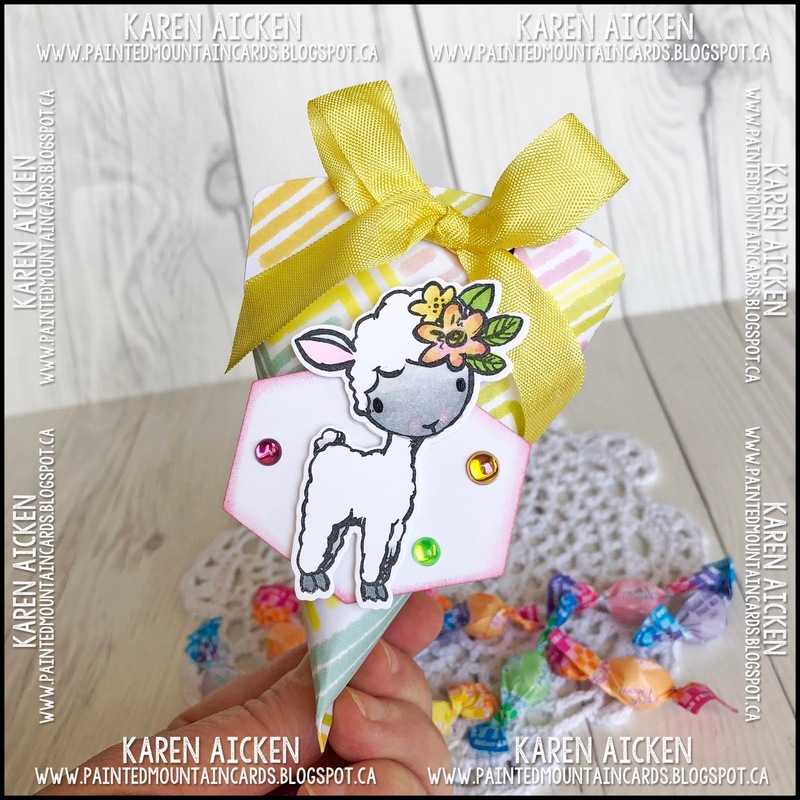 The inside was also decorated, with one of the leftover painted flowers and a foil sprig. A little detailing with a fine point black marker and my card was done. There is lots of shimmer and shine to this card, with the foil and glossy card stocks, the acetate and the sequins too. 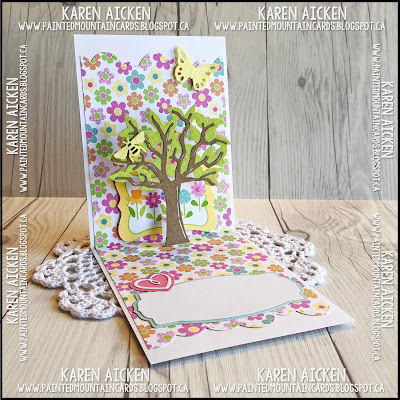 I hope you will check out what the rest of the Design Team game up with with the Spring Things die set ... and see the fun Group Post on Lynda's blog as well. Before I get to my Crazy4Challenges post, I wanted to share that this is my first post of the day. I will be back in a few hours with my second post and an exciting announcement! I hope you will stop back to check it all out. 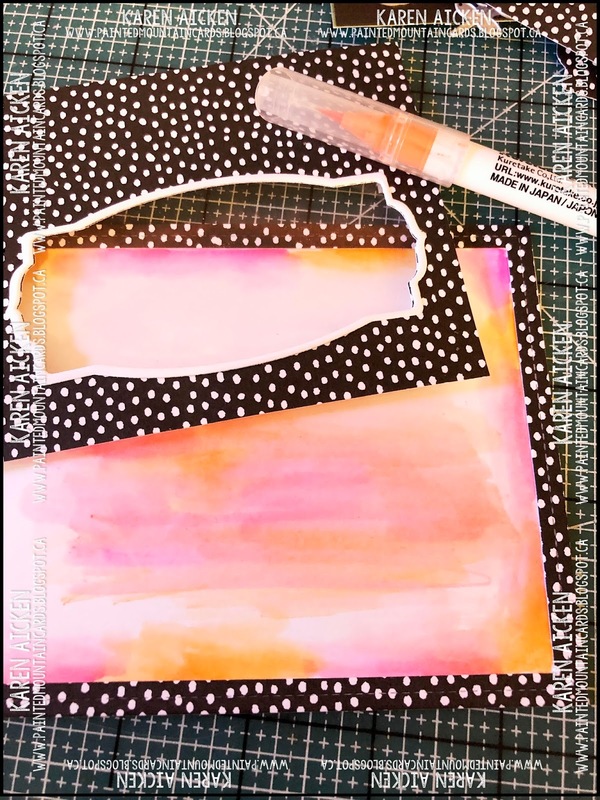 It's Saturday and that means a new challenge at the Crazy4Challenges Blog. 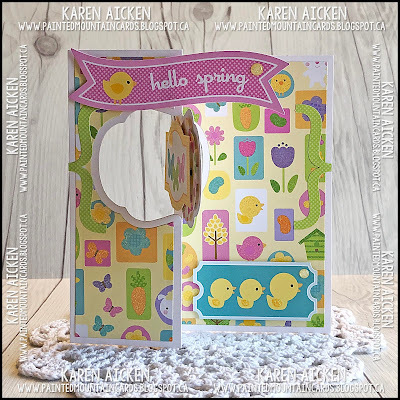 our March hostess is Rebecca Ednie and please welcome our Guest Designer Cindy Lawrence. 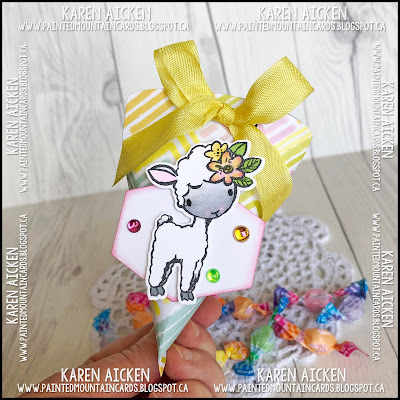 Here is Rebecca's challenge this week: Let’s make an ABC! That’s Anything But a Card! Maybe a scrapbook or art journal page, a tag or ATC, gift packaging, a mixed canvas, postcard or maybe even a flip book! 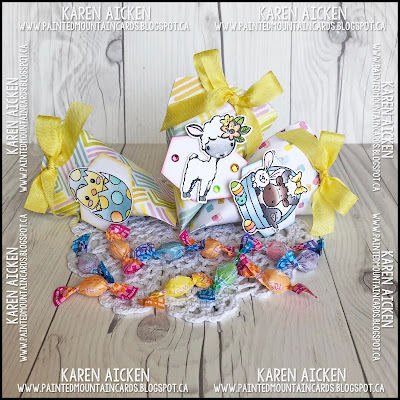 I pulled out the Treat Pouch die and some patterned paper by Lynda Kanase and made a little Easter surprise for three of our Grandkids. 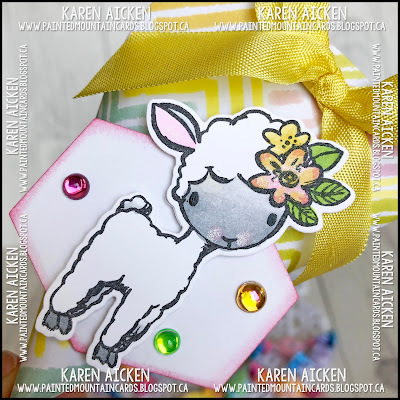 This little lamb is part of a stamp set by Pink and Main that was on m Wish List and I picked up at the Mesa Rubber Stamp Show. I adore the sweet images in that set and will use it for other occasions as well - not just Easter. Since this one is for Olivia, I aded some bling as well. 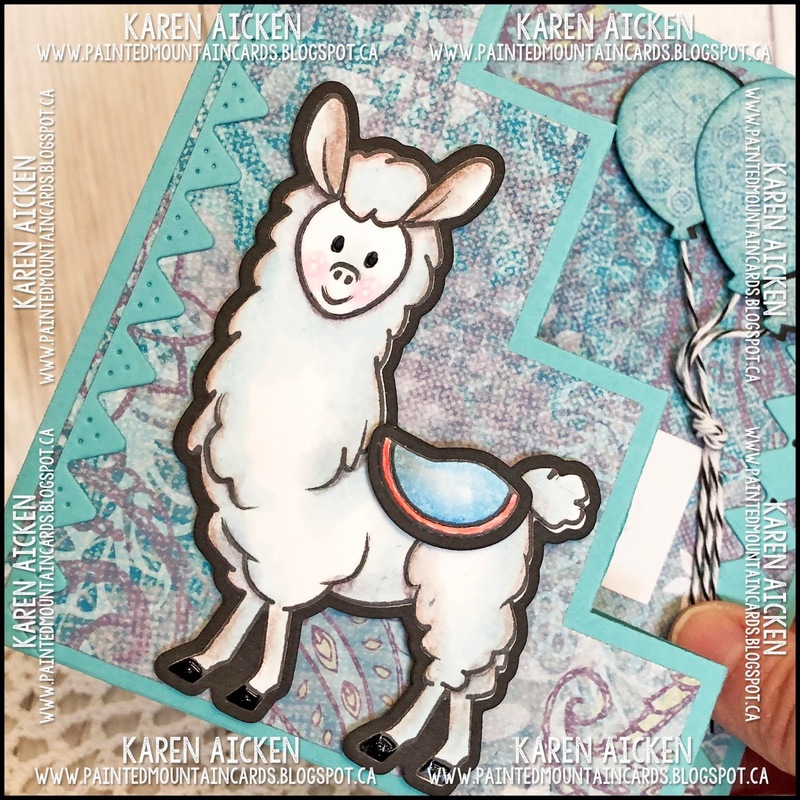 The images were all coloured with Chameleon Color Tone markers - I'm having so much fun with them! I really like the 'light to dark' you can get with a single marker. 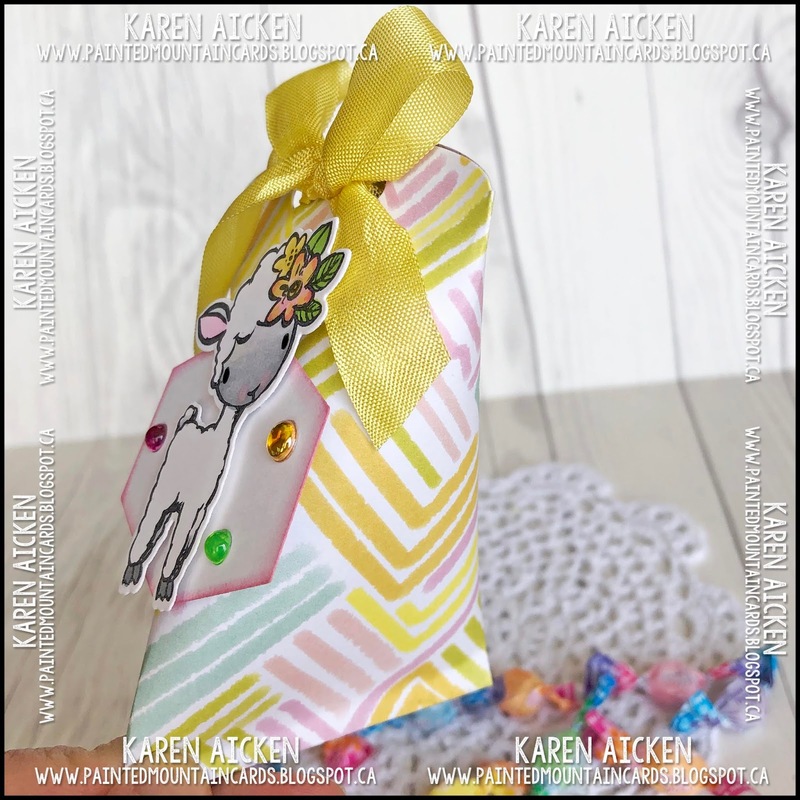 This next pouch uses another Pink and Main image - this stamp set is form my stash. Finally, a Riley & Company image. Love Riley in the Easter basket with his friends. 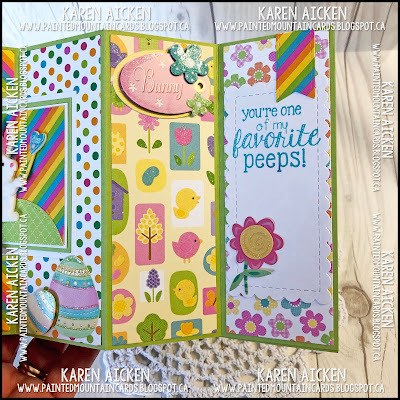 Since I haven't played with this Step Card die set in awhile, I pulled it out to make a Birthday Card for Fun Fold Friday here on my blog. I added some punched balloons and this cute Llama from the Stamps of Life. 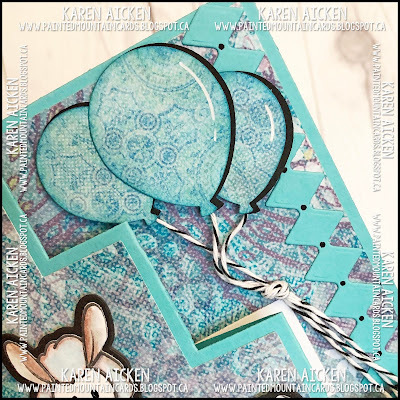 I added borders down each side, using one of Karen Burniston's new Border Blends - the Argyle one. 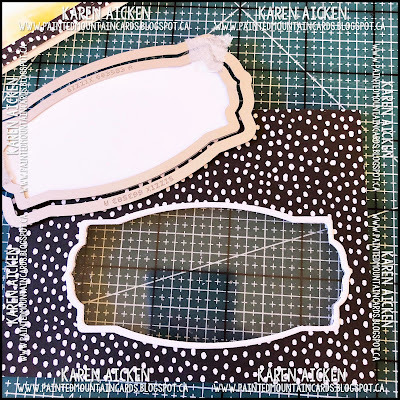 I love that with a single pass through your die cutting machine, you can get multiple borders by using the negative spaces. I wrote a message on the steps and put this card into one of the bags of cards I will be donating to my Mom's nursing home. I have a fun Pop-Up card to share today, that I made for our son's girlfriend's birthday. I used several items from the new release at Your Next stamp and the Rockin' Rectangle Pop-Up die set by Karen Burniston. 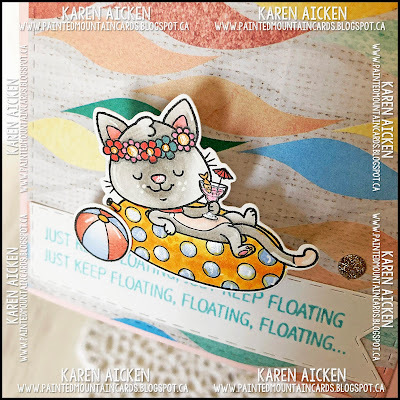 First up, this 'kitty in a floatie 'image is cute enough but add the martini glass with an umbrella and goldfish in it? So fun! I stamped the images with YNS Black Olive ink, which is an alcohol friendly ink. Then I coloured everything with either Chameleon Fineliners markers (for those tiny spaces) and Chameleon Color Tone markers for the rest. 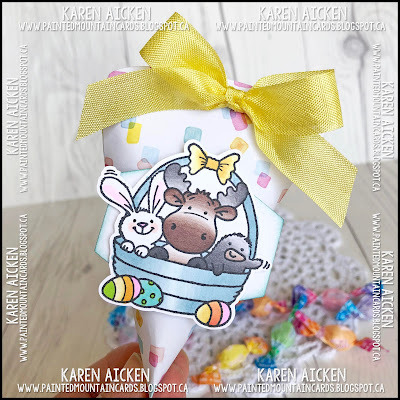 While it's hard to see in the photos, I went over the polka dots on the inner tube, the flower centres, the martini glass and the kitties nose with a clear glaze pen for some shine. I stamped the words onto one of the new Stitched Fishtail Banners and attached that to the lower edge of the card front. 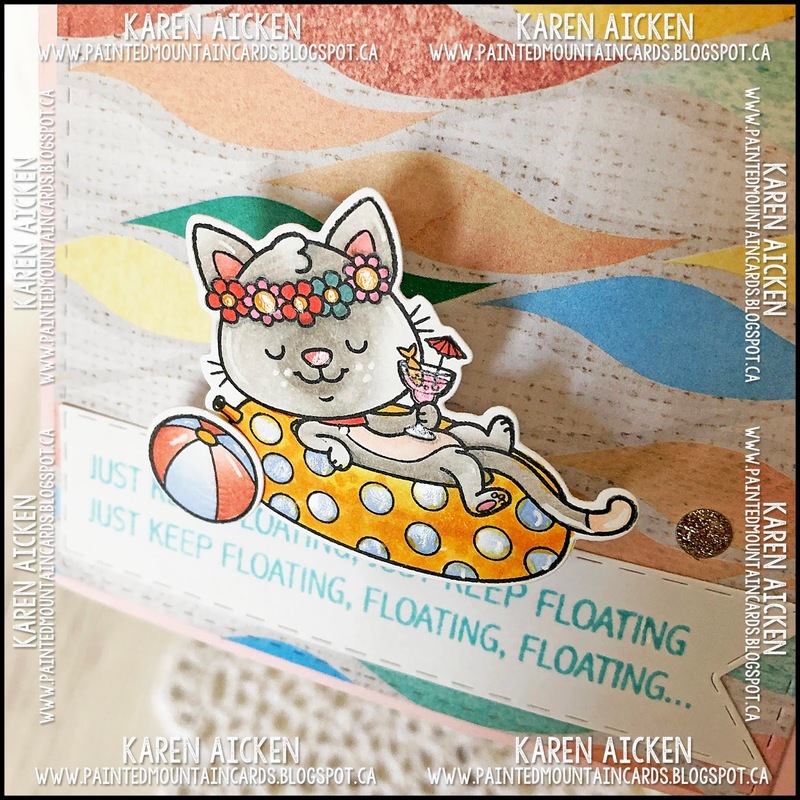 After die cutting, the kitty image was adhered to the bottom edge with a Mini Action Wobble so it bobs and wobbles around. 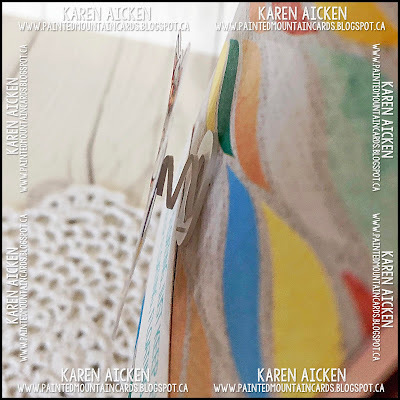 When the card is opened, the rectangle on the right rocks up and reveals the sentiment on the 'arm'. The inside stamps all come from the same YNS new release set Just Keep Floating. 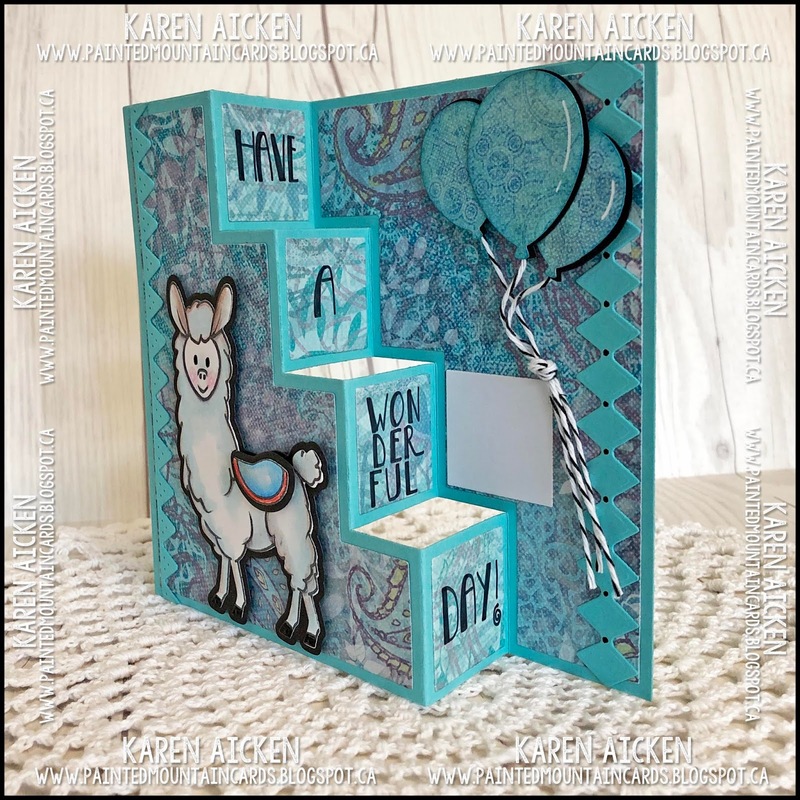 There are coordinating dies available as well. I added a few of the new Pixie Dust Gumdrops for some birthday sparkle and shine. Below is another look at the dimension you get with the Rockin' Rectangle Pop-Up.